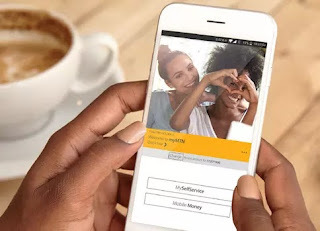 MTN is launching a promotion from the 8th of August to incentivise their customers to download the my mtn appt o access the network’s social bundles. All first-time downloaders of the app will be rewarded with a free 1GB data bundle. The MyMTN App is a convenient and user-friendly self-care app that allow their users to top up airtime, pay their bills, manage their mobile accounts, buy services and products from their mobile phones and keep an eye on their data usage. In a statement, the company said, “MyMTN App is set to increasingly become the preferred channel for purchasing selected MTN data and voice products”. Mapula Bodibe, the Executive of the Consumer Business Unit, said that in this digital world, the company wants to offer their customers the simplest and quickest personalised mobile. Bodibe added, “My Mtn App is quick to download and free to use, so our customers are not charged for any time spent on the app”. The promotion of the network’s social bundles on the My Mtn Appis a further step towards offering their customers products and that are tailored to the specific and individual needs through a channel that is convenient easy to use. According to Bodibe, customers use their data and airtime differently and we need to be able to respond to these usage patterns while looking at affordability and personal preferences. The MTN executive said, “By promoting key products and services, such as the social bundles on the app and later through MTN’s personalised service channel, *142#, we greatly increase our ability to offer great value and tailor-made services to our customers”. The promotion will run from the 8th of August to the 31st of December 2018 and it will be activated within 24 hours of the download of the app and it is valid for one day. Customers will receive a notification when the data bundle has been activated. Social bundles from MTN will also be available on the app for all customers and from mid-August the network’s personalised *142# menu will be the only way for qualifying customers to access MTN’s social bundles . The MyMTN app is free to use and is available on the Google Play Store, Apple Store, Windows Phone Store and on Blackberry World. According to MTN the process of setting up the app is quite easy and customers can access a variety of services. Bodibe also said that MTN’s 1GB is the best data for value on the market and it is only available from the MyMTN app. The company will also be doing more special promotions and personalised offerings through the app.